excuse the rather self indulgent post, it's been a long while since i last went shopping. i asked myself the same question: is that possible? yes, i've been shopping but it's mostly online shopping. but nothing beats the excitement of piling up the clothes and trying to my hearts content in the fitting rooms. 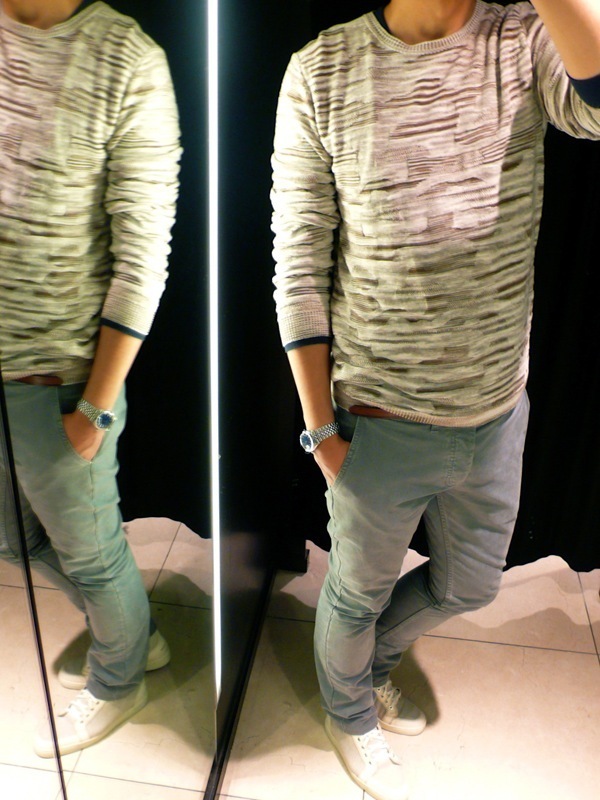 i dropped by zara to have a little look see last weekend. 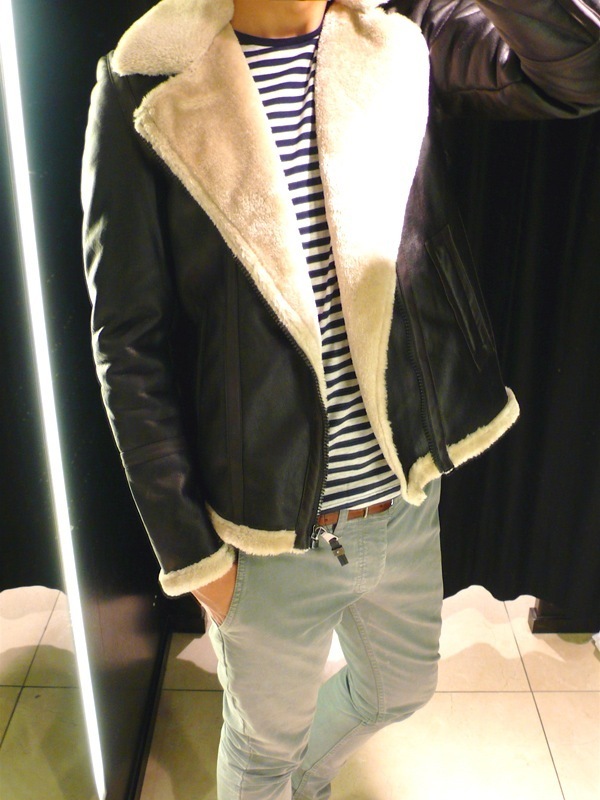 tried on the above shearling jacket, which is quite the "on trend" piece of this season. i wondered if i can still call it shearling considering the jacket is made from 100% synthetic materials. in fact, bits of fiber fell off when i handled the jacket. i like the jacket, it's comfortable, it fitted well, but an aviator/shearling jacket is for life, not just for the season. it's all or nothing, so i placed this back onto the rails. but quite a nice piece for £79 if i may say. i love my chunky toasty knits. a little 'christmassy' and a little tight for my liking. a fun piece, but i know i won't wear it so this went back to the shelves too. what i did get however, is the nylon puffa vest with embroidery details. 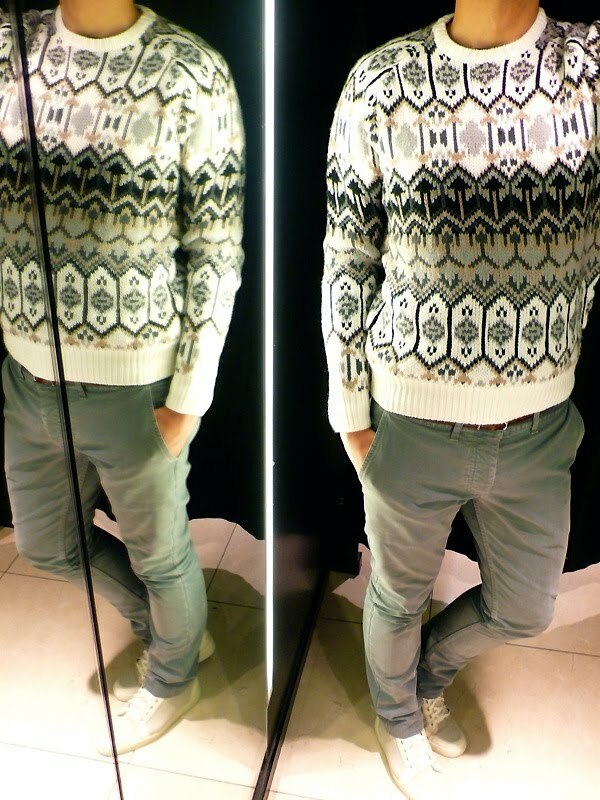 i'm not usually a big fan of vests nor puffa, but this piece somehow caught my eye the minute i walked into the shop. 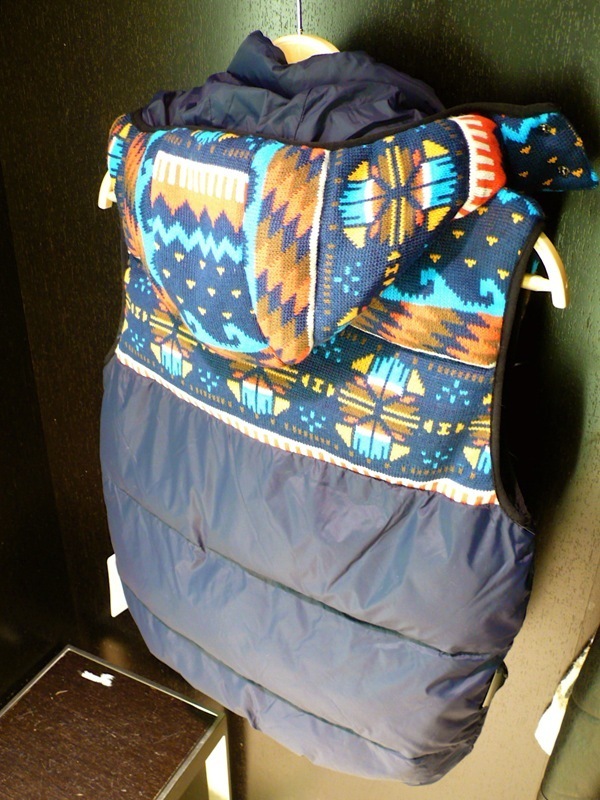 the puffa vest comes with a detachable hood which also has the nice knitted details. i thought it's a pretty nice piece, and at £39 is quite no frills. except that the temperature suddenly nose dived this week. out and about in my missoni knit, balenciaga trousers, christian louboutin sneakers and smelling of 'balenciaga paris' x 'acqua di parma'. amazing blog, like you clean and simple design. most of all i like you style! Why does a Louboutin Louis Studded Sneaker for woman cost HALF the price than the same shoe for men? breeze: mmm less surface area, less studs hence less workmanship less labour costs...? It's really been a while since your last snapshot. We miss it. haha, i like reading about little shopping escapades. I like what you bought in the end, the colours of it are really versatile. Nice jazzy jumpers heh. You could just get a second hand christmassy jumper for less money so it wouldn't be too bad for random whims when you wanted to wear it. Really like what you are wearing!! How much were the Louboutin shoes and Missoni jumper?? Loving the sleveless puffy zara jacket! Yay for a outfit post! Love the puffer. Love the things you chose. Thanks for answering @ ooooo! love all of the stuff ! 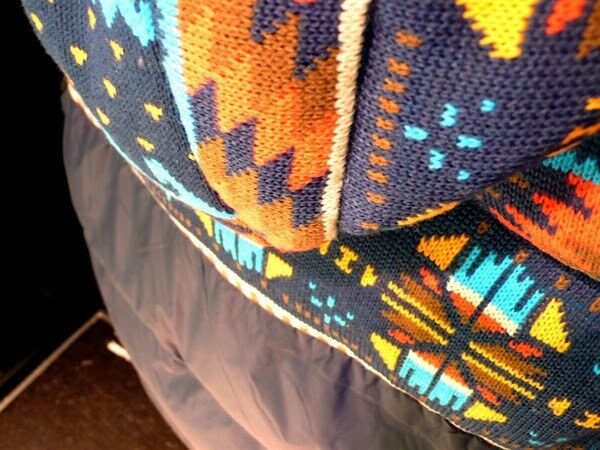 Especially the knits ! oh it was blue, sorry if it was misleading. still a nice piece though, get it! I think we need more of your self indulgent posts! And I totally agree with you, a shearling jacket is for life not for just a season. @ooo0ooo: I wonder if you have pictures of your face, since all of your outfit pictures leave that part out.... I'M CURIOUS WHO'S THE GENIUS BEHIND THIS LOVELY BLOG!!!!!!!! 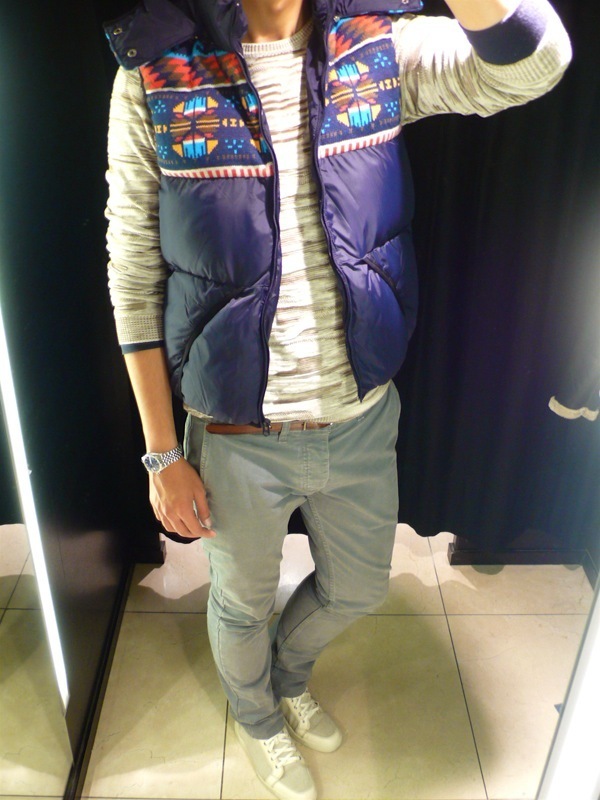 Eyeing up that down vest too... you look like a slim chap... what size did you get? I'm a 36" chest but wonder whether I should opt for a medium... suggestions? anon: i am size 38, and i picked size m. if you're 36, i would suggest size s, which should be a good fit. Thanks for that - much appreciated! Really enjoy reading your blog btw!